Tired? Fed up? No Time? Or you just simply can’t be bothered? We here at brightwash have heard it all before and been in exactly the same situation as you, that is why we have come up with a solution to make your life so much easier! 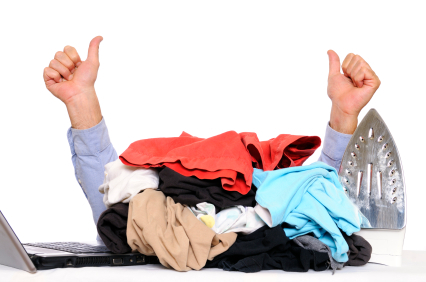 To put simply we will collect and deliver all your laundry and dry cleaning at a time and place to suit you saving you the hassle, time and Money! So for example we can collect your suit for dry cleaning on a Friday evening from your work place and have it delivered to your home first thing Monday morning! We pride ourselves on a 'personal touch' service and quality we give to our customers. So why not give us a try and see how effective we can be for you. We have kept our website very simple to use so simply click on 'Book a Collection' select category and finally choose items to add to your laundry basket. Registration is simple and your details will be stored on our system so next time everything is already there for you! If you have any queries, phone us on 07879494822 and we would be glad to assist you. Register for our newsletter to receive some of our fantastic offers - don’t worry unlike other companies we don’t sell your personal details on.